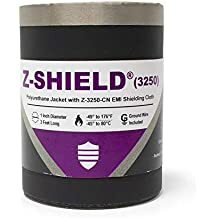 Zip Shield Tpu - Emi Jackets And Expandable Sleeves - Emi Shielding - Products - ZT | Zippertubing Co.
0.5" 0.625" 0.75" 0.875" 1.0" 1.125" 1.5" 1.625" 1.75" 1.875" 2.0" 2.125" 2.25" 2.375" 2.5" 2.625" 2.75" 2.875" 3.0" 3.125" 3.25" 3.375" 3.5" 3.625" 3.75" 3.875" 4.0"
Zip-Shield® (TPU) combined with EZ-Track® (TPU) is a light-to medium-duty, thermoplastic polyurethane (TPU), re-enterable extruded pressure-track system, that was engineered for applications where halogen-free, flame-retardant, white cable or wire bundling and protection sleeving is a necessity. Zip-Shield® (TPU) offers EMI/RFI shielding protection and provides a complete non-magnetic solution. 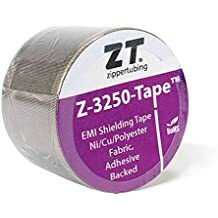 Zip-Shield® (TPU) is not specifically manufactured using a clean room in sterile conditions, however with the right procedures, could potentially be used in the medical field, including, but not limited to; hospitals, operating rooms, trauma centers, emergency rooms and so on. Cable Diameter 0.5" 0.625" 0.75" 0.875" 1.0" 1.125" 1.5" 1.625" 1.75" 1.875" 2.0" 2.125" 2.25" 2.375" 2.5" 2.625" 2.75" 2.875" 3.0" 3.125" 3.25" 3.375" 3.5" 3.625" 3.75" 3.875" 4.0"